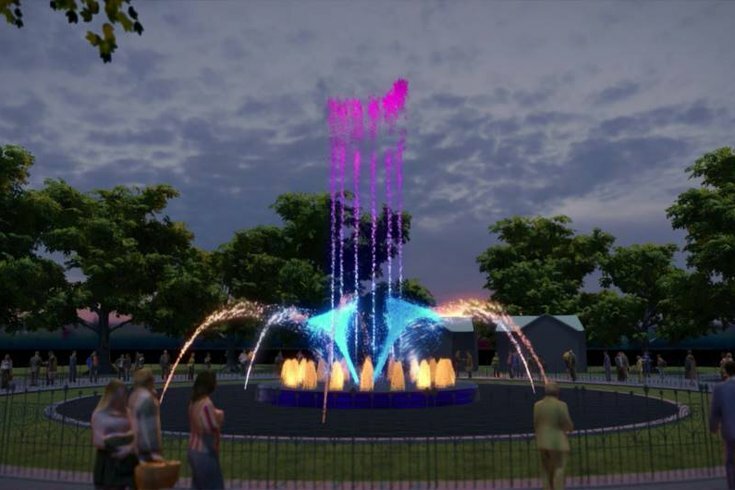 A rendering of the new music and light show coming to Franklin Fountain in 2019. The centerpiece of Franklin Square, the historic fountain dating all the way back to 1837, is about to get a facelift. Historic Philadelphia, Inc. announced Tuesday that the fountain, which is the oldest refurbished and functioning public water fountain in the entire country, will soon be reimagined to host an ongoing Fountain Show with music, lights, and choreographed water displays that will debut in Summer 2019. The fountain displays will have both daytime and nighttime schedules to show off five different types of new water effects. The renovations will modernize the fountain's infrastructure and, according to Historic Philadelphia, further secure its ability to function in the future. The total renovations, including new LED lighting, are priced at $2 million. 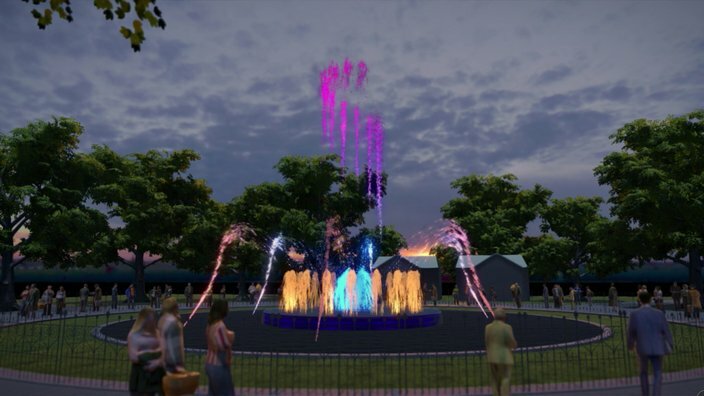 Renderings of the renovated Franklin Fountain show the fountain's upcoming LED light and choreographed water display. Franklin Square is of five original squares in William Penn's design of the city in 1682. The fountains weren't introduced until the 1800s, and the one in Franklin Square has seen its fair share of updates and disrepair in the many years since. It was last restored in 2006 – the first time in 30 years. 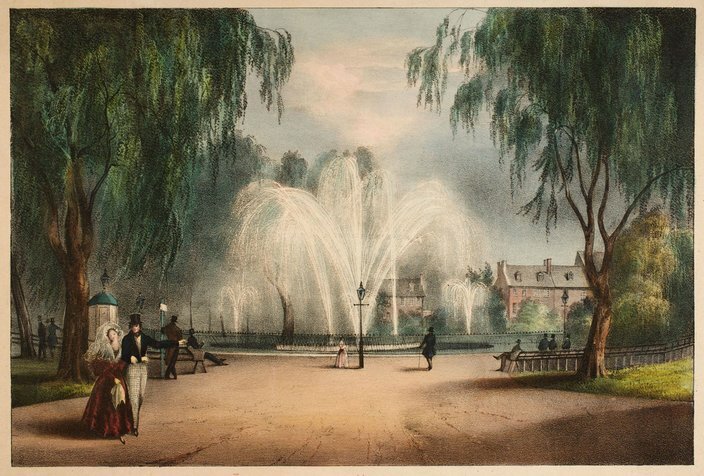 A watercolor of Franklin Square's fountain in its early days. Franklin Fountain was created in 1837. As the countdown to the new fountain shows begins, Franklin Square has a ton of other upcoming events to look forward to with the holidays ahead. In addition to the annual holiday light show that kicks off Nov. 15, Spooky Mini Golf is underway to celebrate Halloween, along with a few other single-day fall events. Check those out here.